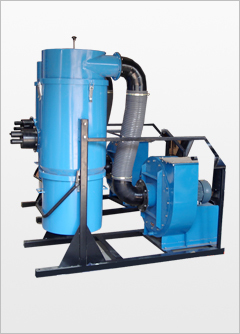 Blowtech has introduced the most reliable, efficient & economical solution to dry dust problems in industry. Surface Grinding / Tool & Cutter grinding Buffing machines Wood working machines Carbon dry powder collection Packaging machines etc. The dust generated is sucked by the air stream of suction blower through slit hood. The subsequent cloth filter retains the fine particles. The filtration system is based on fabric, suspended from a manual shaker mechanism to relieve filter clogging. 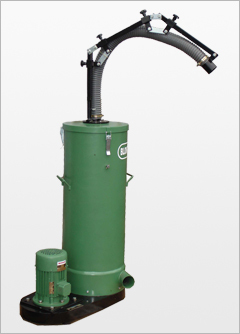 Filtration can be provided as per application. Custom built designed hood can be provided to have optimum efficiency.